This world is not a playground; it is a battleground! The Christian life is a life of warfare. We have a terrible enemy who wants to destroy us. That enemy is Satan! Christians are called to be “good soldiers” of the Lord Jesus Christ, and “to war a good warfare.” The reason why the Christian life is a warfare is that we have a terrible enemy who wants to destroy us. That enemy is Satan. Satan was originally created as an angel named Lucifer, but he rebelled against God. 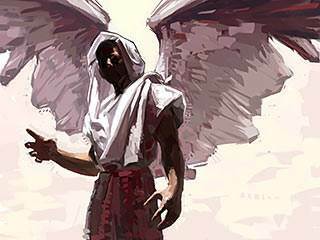 A third of the angels in Heaven followed Satan in his rebellion against God. Satan and his fallen angels are spirit-beings. We cannot see them, but they are very real enemies of every child of God. “…the whole world lies in wickedness [under the rule of the wicked one]” (1 John 5:19). God is at last victorious! There is a Man who has gotten the victory for God. 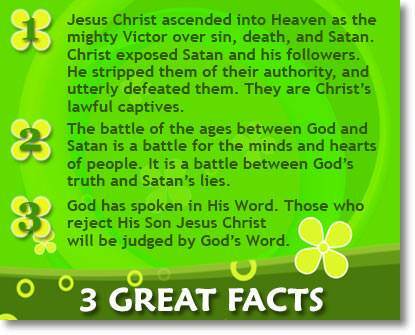 The Man Christ Jesus destroyed the power of Satan and rose in resurrection victory. He went back to Heaven as the mighty Victor over sin, death, and Satan. “…He [God] raised Him from the dead, and set Him at His own right hand in the heavenly places, far above all principality, and power, and might, and dominion, and every name that is named, not only in this world, but also in that which is to come” (Ephesians 1:20-21). 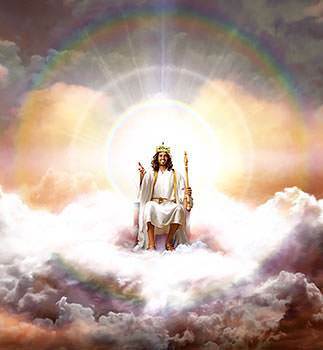 The Man Jesus Christ is now seated at the right hand of God. Neither Satan, nor his fallen angels, can ever dispute the fact that they are Christ’s captives. Satan is a terrible enemy. Though Satan has been defeated and condemned to the lake of fire, the sentence has not yet been carried out. For now, Satan is a terrible enemy, and he has great power. 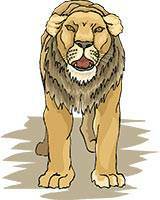 “Be sober, be vigilant [watchful]; because your adversary, the devil, as a roaring lion, walks about, seeking whom he may devour” (1 Peter 5:8). All lies have their source in Satan. Satan’s objective is to destroy people. He knows that his eternal destiny is the lake of fire, but he wants to take as many people as possible with him. “…He was a murderer from the beginning, and abode not in the truth, because there is no truth in him. When he speaks a lie, he speaks of his own: for he is a liar, and the father of it” (John 8:44). Truth is that which may be known of God and of His will. It is the setting forth and expression of what God is like. People have many wrong ideas about God, put in their minds by Satan. Jesus came to tell us and show us what God is like. “…the scriptures cannot be broken” (John 10:35). The truth of the Bible is set forth in understandable statements called Christian doctrine. God is very concerned that we hold to the true doctrines of the Bible. The one thing that is emphasized more than any other in the New Testament is warning against false doctrine. It is emphasized more than love, unity, or experience. Since God inspired the Scriptures, this shows that true doctrine is of paramount importance to God. “Sanctify them [set them apart] through your truth: Your word is truth” (John 17:17). The Bible is our unfailing guide on all matters of doctrine and practice. The Bible says, “To the law and to the testimony: if they speak not according to this word, it is because they have no light in them” (Isaiah 8:20). 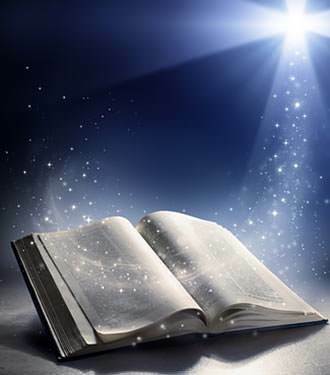 Jesus said, “…the scriptures cannot be broken” (John 10:35). The battle for the minds of men. The battle of the ages between God and Satan comes down to a battle for the minds and hearts of people. 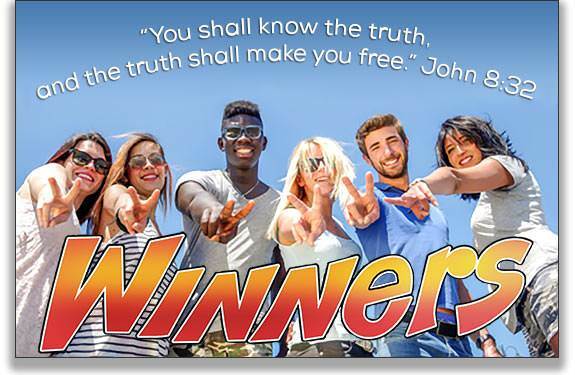 It is a battle between God’s truth and Satan’s lies. The Bible calls Satan “the god of this world” because he is the unseen ruler of his world-system. Satan is the one who ultimately controls business, education, entertainment, sports, religion, the news media and countless other things. Satan uses his world system to propagate his lies. Let us consider some of them. The theory of evolution teaches that all life evolved upward from a single cell billions of years ago. This is one of the biggest lies that Satan has ever invented to deceive the human race. This unproved theory leaves God out and is almost universally taught as fact in schools and universities. “Because that, when they knew God, they did not glorify Him as God, neither were thankful…Professing themselves to be wise, they became fools…Who changed the truth of God into a lie, and worshipped and served the creature more than the Creator…For this cause God gave them up to vile affections…” (Romans 1:21-22, 25-26). Regarding moral values, Satan says everything is relative. Do what feels right to you. If you don’t think it is sin, it’s not sin to you. Don’t let other people put a guilt-trip on you. The statement, “There are NO moral absolutes” contradicts itself. It is an absolute statement which says there are no absolutes! God is a moral Being. He created man in His own image as a moral being. 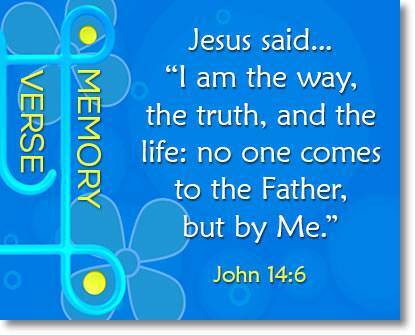 He has revealed His moral absolutes to us in His Word. Every commandment of God is an expression of His love for us to keep us from making mistakes which can have lifetime consequences. This wonderful God desires a personal relationship with you. If you want proof of His love for you, look at His Son dying on the cross. “…God has from the beginning chosen you to salvation through sanctification of the Spirit and belief of the truth” (2 Thessalonians 2:13). 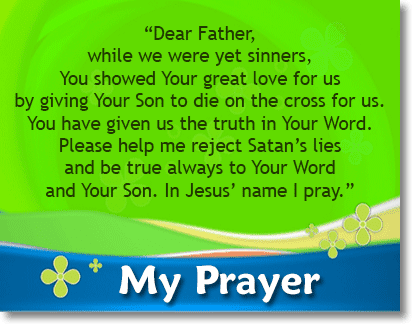 “I am the way, the truth, and the life: no one comes to the Father, but by Me” (John 14:6). It was not a spirit that died on the cross for us, and it was not a spirit that rose from the dead. Jesus appeared to His disciples and said, “Behold My hands and feet, that it is I myself: handle Me and see: for a spirit does not have flesh and bones, as you see Me have” (Luke 24:39). Jesus sat down and ate fish and honey with them. “[Jesus Christ was] declared to be the Son of God with power…by the resurrection from the dead” (Romans 1:4). “For a good work we do not stone You, but for blasphemy, because You, being a man, make yourself God” (John 10:33). We live in an age of great deception. Satan has many deceivers in the world doing his work. The Lord Jesus said, “Take heed that you be not deceived…” (Luke 21:8). The question we have to ask ourselves is this: Am I going to believe this person’s word or believe God’s truth? 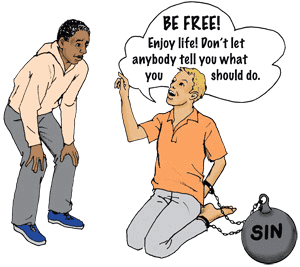 “They promise freedom while they themselves are slaves of sin…” (2 Peter 2:19). Picture a circle and let it represent your life and the circumstances God has arranged for you. Inside that circle that is yours, God has provided all that you really need. Things are not perfect in your little “circle,” nor will they ever be in this life. We live in a world that is under the curse of sin. Therefore we will face many troubles and trials of our faith. Satan is the great deceiver, and he will seek to put wrong thoughts into your mind. He will point to something outside your “circle,” and suggest to you, “You really need this. In fact, you cannot be happy unless you have it.” If you accept a wrong thought, it becomes a wrong belief, and wrong beliefs lead to wrong actions and wrong feelings. Often, gaining the approval of your peers means compromising your beliefs and lowering your standards. If pleasing your friends means displeasing the Lord, choose to please Him. Christ is your Beloved—the One who loves you with all His heart. Resentment comes when you think what God has provided for you is not best. You may not understand your situation, but you must not be offended by what God does or does not do. What God has provided for you is best for you even though you may not understand it. Every romantic relationship in which you are involved will one day come to an end—except for one. The only one that will last is the one that leads to marriage. If you give away your priceless virginity in one of those other relationships, you will regret it. If it is God’s will for you to get married, He will bring the right one into your life. Until then, keep yourself for the right person, the one you marry, and the right time, your wedding night! 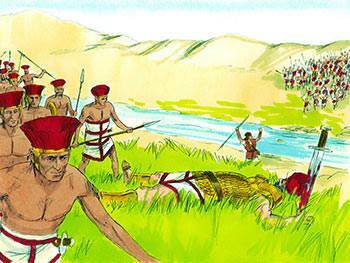 Israel’s army was facing their enemy, the Philistines. The camp of Israel was on one mountain and the camp of the Philistines was on another mountain. In between them was a valley. One of the Philistine warriors was a giant named Goliath. He was over nine feet tall, and probably weighed at least 600 pounds. He also wore a lot of armor. 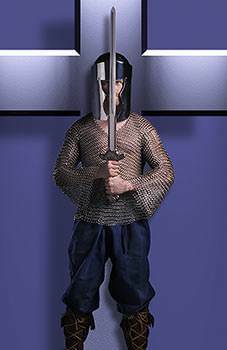 He had a helmet of bronze to protect his head, and an armored coat to protect his chest. He even had armor to cover his legs. David, now seventeen years old, volunteered to fight Goliath. He took his shepherd’s staff and his slingshot and started toward Goliath. When Goliath saw David, he did not think David was worth fighting. “This day will the Lord deliver you into my hand; and I will smite you, and take your head from you…that all the earth may know that there is a God in Israel…for the battle is the Lord’s, and He will give you into our hands” (1 Samuel 17:46-47). When Goliath started lumbering toward him, David did something surprising. Trusting in his God, David ran right toward Goliath! Then he stopped, put his hand into his bag, and took out one stone. David put it in his sling and sent it flying toward Goliath. 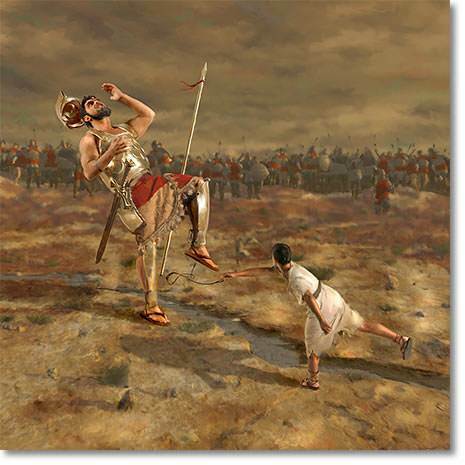 The stone from David’s sling hit Goliath squarely in his forehead. It broke his skull. Goliath fell down on his face. So David defeated Goliath with his sling and one stone. God gave David a mighty victory over the dreaded giant because David was trusting in his God and fighting for the honor of his God. David had no sword, so he ran and stood on the giant’s body. Then he took the giant’s sword and cut off his head. When the Philistines saw that their champion was dead, they ran for their lives. The men of Israel gave a great shout of victory and started after them. They chased them, killing many. When they returned to the camp of the Philistines, they took all the gold, silver, and clothing as the spoils of their victory. David took the head of Goliath and brought it to Jerusalem. In one moment David became Israel’s greatest hero. 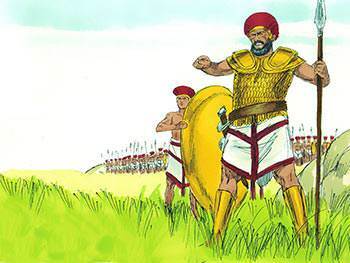 The nation of Israel had not defeated the Philistines in battle for a hundred years. 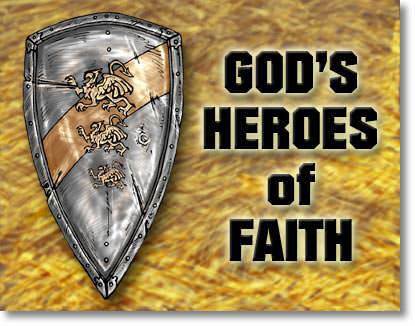 Throughout his life, David trusted in the Lord and he never lost a battle.